At Putnam Orthodontics, we believe that a perfect smile shouldn’t cost you a fortune. We have built a patient-centric orthodontic care approach based on the foundation of affordability and uncompromised quality. With years of experience and thousands of happy patients, Dr. Pai and his team are reputable, trustworthy and well-known in Carmel and Briarcliff for providing exceptional customer service. A great smile is no longer a luxury. We believe that everyone deserves a perfect smile and so, we provide affordable orthodontic solutions in Briarcliff Manor and Carmel, with absolutely no compromise on quality. Our team of experienced doctors carries out a comprehensive smile assessment to understand your needs including a smile simulation where you can see the before and after results of your smile. Based on this assessment a highly-customized orthodontic treatment plan is created for you which not only meets your requirements perfectly but suits your budget as well. To ensure that you benefit from complete and advanced orthodontic care, We offer early morning or late evening appointments as well as weekend appointments to cater to your schedules at two convenient locations. We also guarantee to deliver the best possible orthodontic treatment without you having to missing work or school in the most comfortable way. We ensure every patient a hassle-free payment process, and we accept most of the insurance plans which others don’t. Your convenience and comfort are our priority. 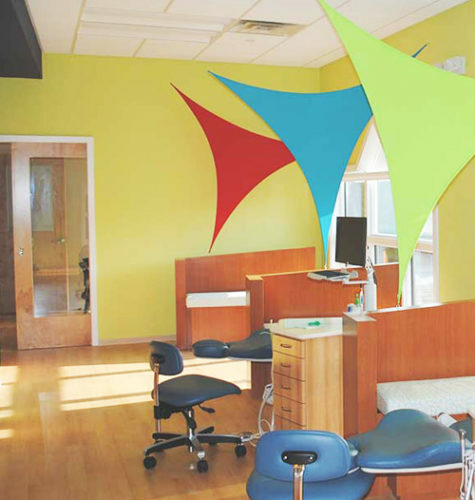 Our patient-centric oral care suits your busy schedule so that you don’t have to miss your appointments or spend too much time in the waiting area. We offer early morning appointments or late evening appointment including weekend appointment. Also, we guarantee to deliver the best possible orthodontic treatment without missing work or school in the most comfortable way. We ensure that your payment process is hassle-free, and we accept most of the insurance plans which others don’t. We have two convenient locations that are available. At Putnam Orthodontics, every patient receives prompt attention and personalized treatment from the initial oral examination until complete recovery. We don’t want our patients worrying over treatment costs and so we offer flexible payment options that give you an additional reason to smile! At Putnam Orthodontics, we offer weekend hours to suit the busy lifestyle of our patients. Dr. Pai is also accessible during after-hours for emergency visits. Your first visit to Putnam Orthodontics is absolutely free because we want every patient to take an informed decision before embarking on the journey of achieving a brand new smile. Our advanced orthodontic treatments employ leading-edge technology that efficiently reduces the number of dental visits while ensuring superior outcomes every time. Our patient-first approach focuses on providing the absolute best in orthodontic treatment to children, teens and adults while ensuring the final outcome is an attractive smile! At Putnam Orthodontics, your smile is our #1 priority which is why we focus on quality esthetic results that last and give you the confidence to smile for years to come. We know our patients want quicker results and so, we strive to achieve your smile goals faster with our innovative Damon Smiles System that reduces the treatment time by 25%. With dual training in Orthodontics and Pediatric Dentistry, Dr. Pai has treated more than 2000 patients successfully, giving them the smile of their dreams. Digital records and radiographs are ready immediately to facilitate safe, quick and accurate diagnosis while ensuring 90% less exposure to radiation. Putnam Orthodontics offers fast, safe and effective orthodontic treatment options like Invisalign, ClearCorrect and Damon Smile for superior results that last longer. Our well-trained team strives to provide a caring and comfortable environment that reduces your anxiety and accelerates your recovery as we help you achieve the results you want. A great smile is no longer a luxury you cannot afford. At Putnam Orthodontics, we promise to give you the best possible smile which is affordable with absolutely no compromise on quality. Book your free consultation today!